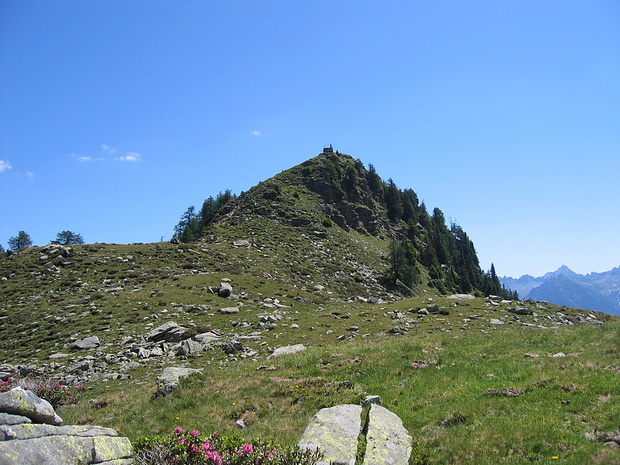 Motta de Carnac 2024 m 6639 ft.
PARTENZA DA CIRCA MT. 1110 SOTTO I MONTI DI BELEN SI SALE PASSANDO DALLA CHIESETTA DI PREPIANTO MT. 1438 RAGGIUNTO UN BIVIO SI PRENDE A DESTRA PER ALPE DE PALAZI , SI PROSEGUE VERSO ALPE CARNACC MT. 1953 DA QUI SI SALE A QUOTA 2024 PER POI SCENDERE ALL' ALPE DE MEM . ESCURSIONE CON OSVALDO . Hut in 15 hike reports, 5 photo(s). Hut in 21 hike reports, 42 photo(s). Hut in 85 hike reports, 68 photo(s). Peak in 29 hike reports, 56 photo(s). Hut in 43 hike reports, 19 photo(s). Hut in 32 hike reports, 15 photo(s). Locality in 5 hike reports, 8 photo(s).